Masanori Oji’s design for the 115-year old metalware manufacturers Futagami, Japan. Wrapped in a pretty gifting box! This paper weight has a crude casting Ihada- finish which gives a unique texture and patina. 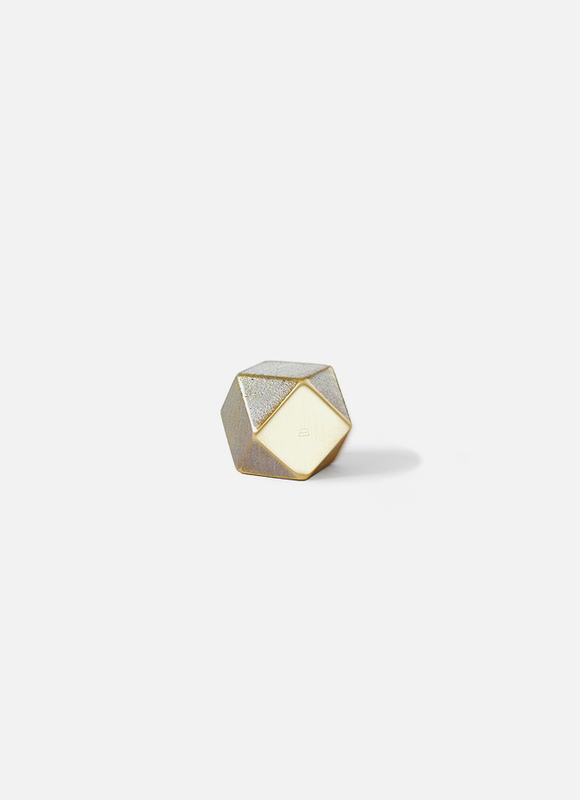 These are polyhedral brass objects, available in three types, Triangle, Square, and Rhombus. As all faces are parallel, you can easily hold it between the tips of your first two fingers. The surface of the paperweight is ihada- finished, a crude casting surface. The paperweight gradually changes its color over the course of years due to oxidization. The longer it is used, the richer and subtler it becomes.